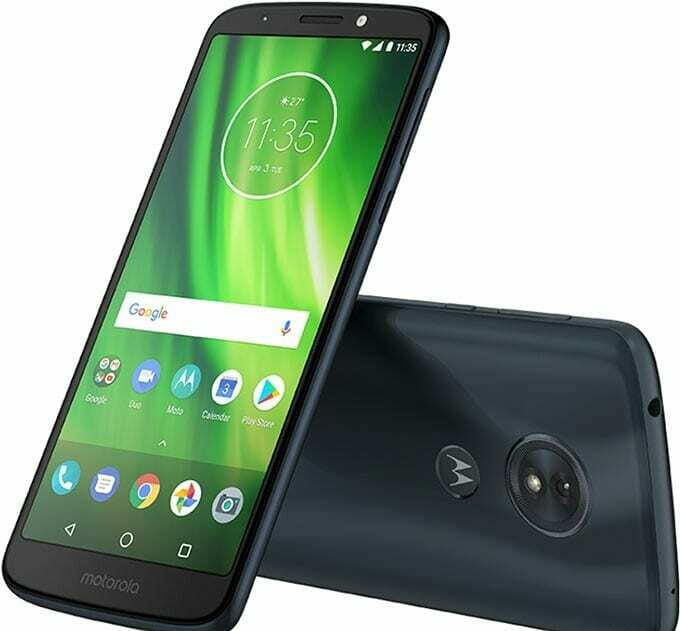 Motorola Moto G6 Play was one of the battery focused smartphones released Motorola in this mobile season. The G6 Play like the name suggests; is the affordable variant of the Moto G6 and G6 Plus midrange smartphones. In terms of battery, the G6 Play didn’t disappoint, packing a 4000mAh battery. There’s a version that comes with 3GB RAM and 32GB storage space, it runs on the latest Android 8.0 Oreo as well. Without further ado, meet the Motorola Moto G6 Play. What is Motorola Moto G6 Play Price and Availability Status? It’s obvious from the body that no major changes were made, but we can see that the Play version has just a single rear camera unlike its siblings. This sleek looking smartphone has a rear fingerprint scanner as well. Just place your registered finger on the Motorola logo at the rear and unlock this beauty in 0.1s. Measuring the same 9mm in thickness like the Moto E5 Play. However, it weighs 175g and offers splash resistant, even though it isn’t full water resistant. In terms of colors, you can get it in Deep Indigo, Silver, Flash Gray and Gold. The G6 Play offer users the 18:9 aspect ratio experience, unlike the E5 Play. The screen was stretched out well enough for a full view display. The narrow bezels are almost non-existence, with the Motorola logo at the bottom bezel and the other features on top. The G6 family from Motorola are known for their huge screens, the G6 Play is equipped with the 5.7-inch HD+ IPS LCD capacitive touchscreen. The screen has a resolution of 720 x 1440 pixels and 282 pixel per inch density for standard visuals. In conclusion, the screen stretches up to 75.2% screen to body ratio, while a Corning Gorilla Glass protects it all. The global version houses the Snapdragon 430 chip from Qualcomm with Octa-core processor and 64-bit CPU architecture. The 8-cores of processor here reaches an impressive speed of 1.4GHz with 28nm process technology. As the Adreno 505 graphics processor from Qualcomm handles graphics efficiently. Two versions are available here in terms of storage and RAM, the standard version comes with 3GB RAM and 32GB storage space. While the cheaper variant has 2GB RAM and 16GB storage space. Both storage spaces are upgradeable up to 256GB with a memory card. The Motorola Moto G6 Play runs on Android 8.0 Oreo out of the box. The 13MP single rear camera has f/2.0 aperture and 1.12µm pixel size for natural looking photographs all day long. Features on the camera, includes phase detection autofocus, LED flash, geo-tagging, touch focus, face detection, HDR, panorama and others. The camera boasts of 1080p video resolution at 30 frames per second, while the 8MP selfie camera has LED flash as well. Powering the Motorola Moto G6 Play is a 4000mAh non-removable Li-Ion battery with fast charging technology. With the fast charging feature, it shouldn’t take up to 2.2 hours to fully charge up the battery from 0% to 100%. 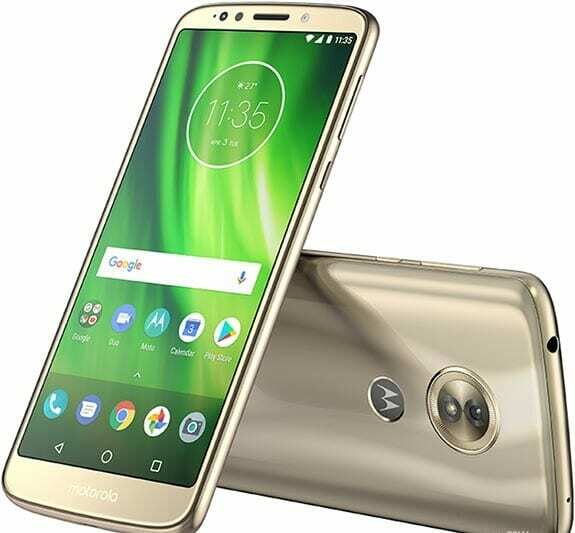 The Motorola Moto G6 Play is available on Shopping stores from $199 (N60,000) to $299 (N90,000). 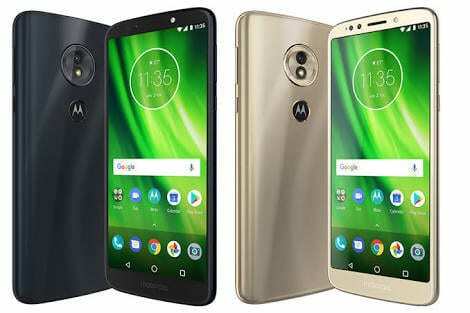 Click on the links above to view the latest Motorola Moto G6 Play price & availability on Shopping stores.